Sasha Jackson Mysteries : Tah-dah! 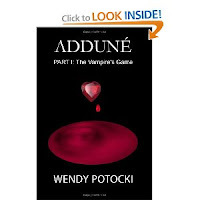 Interview with author Wendy Potocki!!!!!! Tah-dah! Interview with author Wendy Potocki!!!!!! 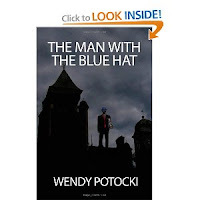 Author and all-round busy gal: Wendy Potocki! 1. Your first novel, The White Lady Murders, came out in 2007. What is the most significant thing you’ve learned as an author since then? Oh, my gosh, so much! One of the most important things I’ve learned is to tell the story no matter what. As a writer, you are an advocate and hold a sacred responsibility to your characters to tell their story. That means you must write down their words and follow the tale where they take it, and not where you want it to go. It adds for excitement, authenticity, and gives a truer feel. It also generally guarantees that the story will not be predictable since people very rarely are. Then there’s the marketing and selling—the other side of the writing coin. I’ve had to learn all that through networking on the web. It was mind blowing how much I didn’t know, but I learned and am still learning. This leads me to one other very significant thing that I’ve learned which is that an author has to be open to learning if they hope to succeed. While isolation is one of those things that is necessary to write the story, after that, it’s all networking and social media. So be open to the support that’s out there. It’s pure gold. 2. Tell me about your current projects “ZaSo” and “The Virgin”. ZaSo is a Gothic tale about murders, monsters, and an ancient evil. Set in the late 1800s, it concerns a young protagonist that tries to escape from a monster lurking in the walls of his family’s Bostonian manor. Terrorizing his youth, he holds out hope that his emergence to manhood will set him free. The Virgin is a tale of a young theology student. Only wanting to pursue the dream of becoming a youth counselor, her work ethic lands her into hot water. Taking a job at an old mansion, she meets Ernst Rudolph, a persnickety agnostic. Determined to earn enough to pay for her next semester of college, she stays on, brushing the barbed witticisms directed at her calling aside. Hired to watch the old estate while he travels for the holidays, she’s more than certain she can ride out his surly demeanor until departure time. Two fraternity boys help distract and pass the time. Intrigued by her virginity, they begin vying for her affection. Not sure if they’re driven by true love, or the need to claim her innocence as a prize, she tepidly advances, soon learning mysteries about them—and the estate she’s guarding. In trying to untangle the truth, she becomes enmeshed in solving a puzzle where relying on the wrong person can get you killed. The Virgin is guaranteed to scare off any young person from ever taking a summer job again! 3. 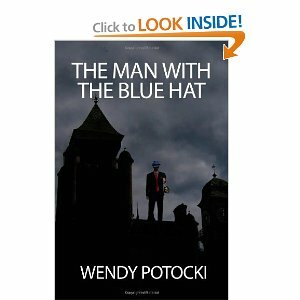 In “The Man with the Blue Hat’ you have a character named Sadie, the town drunk. What was it like creating that character? Well, I’m one of those writers who believe they have a muse. Therefore, I don’t create characters, they’re more or less born … or introduced to me vis-a-vis my muse. In fact, I don’t start writing until I know my main character’s background, likes, dislikes, and temperament. For instance, I know they love wearing blue, but wouldn’t be caught dead in purple. I also wait until I hear them speaking dialogue, or am given key narrative by my muse. In this way, I’m much more a court reporter taking things down than strategically plotting things out. In the Horns of September, I was given the first chapter of the book, the last chapter of the book, and then a chapter smack dab in the middle! I sat staring at the three disparate sections wondering what the heck went in between. Sadie was very easy. While a minor character, she is pivotal in revealing key pieces of the plot. Her backstory filled in like a champagne tower at a wedding. Once the bottle was uncorked, it just spilled down filling in all the glasses. Old Sadie has had quite a life, and in the short time we spent together, I came to be quite fond of her. She’s a grand old gal and I enjoyed the time spent with her. I would like to say here that she had her positive and negative qualities, and stress that it’s important that even a minor character be fleshed out to this extent. In other words, as in acting, there are no small characters, only lazy writers! 4. What is it that draws you to writing horror? I suppose the lack of restraints and options available. I can make the stories larger than life and even give actual form to emotions. In other words, if I want jealousy to not only be an emotion, but a monster that lives in the woods, I can do that. It makes for a more apocalyptic feel to the morality tale that I’m attempting to tell. There’s another reason that’s much more basic. You see, I feel very skittish about writing bad things down that could actually happen. By that I mean, if I wrote about an actual flesh-and-blood serial killer targeting women or children, I would feel just terrible about detailing what this psycho was doing to them. Horror allows me to distance the character from reality. In making the murderer a ghoul, it right away takes the chains off around my arms in writing all the gruesome details because it’s not real … it can’t be real … and will never be real! So it really is a mechanism and device that I use to keep my own sensibilities and morality at bay. If a writer pries their nose too much into the pot that’s boiling, they can exert an influence that is injurious to what is developing. If that happens, they begin to paint everything in the same brush and inject too much of their own personal views into the action. So watch the pot, give it a stir, but let it brew. 5. Who were some of your literary influences? Two of my biggest influences were television writers, Rod Serling and Stirling Silliphant. They rocked my world! Loved the Twilight Zone so much growing up. I was amazed at how much tension could be generated by simple dialogue. And Stirling Silliphant’s work was nothing short of brilliant. His stories were complex, his characters painted in such depth, and his dialogue very compelling. If I was watching a story, there was no doubt it was Stirling Sillipant that wrote it. In terms of a more strict definition, my biggest early influence was The Black Stallion series written by William Farley. I must have read that first book about a thousand times! The meeting of the horse on the ship, the fevered attempts to ride him when on the island, and the bond that was forged—all culminating in that race! Oh, gosh, it’s still exciting for me! Loved that story! So well-written, it captured my imagination and still does. Growing up I was also heavily influenced by Jack London, Agatha Christie (yes, I love mysteries! ), Jane Austen, and Hermann Hesse. Love Hesse’s work so much. Steppenwolf was just so, so, so unexpected. Then there is The Stranger by Albert Camus. Loved it so much, although I had an entirely different interpretation of the ending. There’s also Jean-Paul Sartre, Joyce Carol Oates, Mary Shelley, the Brontes, and the Master of Horror, Mr. Stephen King. Salem’s Lot was the ultimate for me! I bought it and could not put it down. I sat up all night reading through it, and it’s a pretty big book. Kept hearing scrapings at the window, and imagined hands underneath the couch. What a great, inspired piece of writing! 6. If an aspiring writer asked you for one – just one – piece of advice, what would you say? I’d tell them to write! Don’t stop, don’t get deterred, just write as much as you can. It’s a craft that gets better with age, and how many things can you say that about? Don’t get discouraged in the beginning that nobody cares or doesn’t want to read what you have to say. It’s very normal and part of the process. The exceptions to that rule are just that—exceptions. Writing is by its nature just a lot of work done alone. It takes concentration, determination, and, yes, ideas! You need time to find your voice and your audience, so just chill a moment. Enjoy the silence. It’s there for a purpose. It gives you time to collect your thoughts and become who you’re meant to be. Write. Hone your craft. You’ll be a better person for it, and a better writer. 7. Did you plan all along for Adduné to be a series (trilogy)? Absolutely! The story came to me in three parts! Plus the whole tale is so sweeping that it would have had to be a 4,000 page book. Try lugging that with you on vacation. While I always have a beginning and ending for every story begun, everything that happens in between is a complete surprise. This mammoth undertaking was no different. I’m almost finished editing The House of Cards, the second in the series. When writing it, I was just about finished when there was this twist that occurred. It had me laughing so hard. Never saw it coming and didn’t plan on it, but it sure is there! It still cracks me up, and, of course, makes perfect sense! I mean, when bad things happen, don’t the most crazy, outrageous things come out of the blue and bop you in the head? It’s like the universe is sticking its tongue out at you, and telling you that you can now consider yourself a human piñata. It was that kind of moment. The kind where you’re dressed up for an interview, and a pigeon takes aim. No avoiding it, it was bound to happen, and it is not good luck. The series is wonderful to write, and I hope to read. I’m trying very hard to make each part ratchet up the adventure, suspense, and horror so that it builds. With only Part III. The Reckoning left to write, it’s quite a thrill to be coming to putting the finishing touches on the saga. Of course, the ending is what I’ve been eager to get to all along. I love the ending! I wouldn’t even bother writing the book if I didn’t, so stay tuned for something that I hope will knock your socks off and bring tears to your eyes. 8. If a magic Hollywood fairy came along and said that an A-list film producer was going to make a movie of one (just one!) of your books, which would you choose and why? Oh, it’s so hard to choose! Blast that magic Hollywood fairy for not offering me more wishes! Well, if I had to pick one I’d say Adduné for the reasons mentioned above. So many wonderful characters, not to mention one that has made herself quite at home. She’s one of these runaway characters that we writers experience now and again. Was supposed to be this minor character, but when she entered stage right, she never left! Tried to shoo her off, but she’s so much fun—just delicious to write. I never know what she’s going to say or do. And, yes, that plot twist that I spoke about earlier had to do with her. Then there’s Miranda, Peter, Tiffany, Reginald, Bonnie, Wilkins, Beatrice and Willie Figgs, Victor and Elizabeth Rodriguez, Tatiana, Dagmar, Xavier, Carlos, Alejandro, Raoul, Stroker, and the mysterious red egg! Love them all (well, most of them) and would love to see them on the screen, battling it out. Another reason is that I already have the theme song. It’s Silent Lucidity by Queensryche. I would insist on using it, and would have it written into the contract that it had to be used as the theme for the series. Used it in the trailer for Part I. The Vampire’s Game as it perfectly sets the mood. So I’m ready if that Magic Fairy wants to bestow that wish on me! 9. How do you come up with your titles? Is it just an accident that colours are mentioned in the titles of two of your books? No, not an accident, and there’s actually three where I’ve done this. I have one entitled Black Adagio. Black Adagio is not yet published as it’s in the process of being edited. Actually, this topic of using colors in writing came up on Facebook. Pat Bertram, a wonderful author, started a discussion in which she asked if writers were using colors in more ways than just for a description. I posted that colors, smells, and other peripheral occurrences were very important to me and my stories. Since I had been writing The House of Cards at the time, I used it as an example. There’s a part in it where a main character changes. She sees a color and is swept away by it. It symbolizes her fall, and the altering of her personality. Love that particular chapter and it’s not unusual for me to do this at all. I want people to be able to be in the heads of my characters. I want them to feel as if they’re standing beside them, smelling their scent, feeling the texture of their clothing. I want them present at the scenes of their crimes, and to be yelling at potential victims to get out of the house when endangered. Colors, tastes, and odors are important in delivering the atmosphere so I use these invaluable tools to help convey the story, and to give insight into a character. I feel that writing is one of the most comprehensive ways to intimately know someone inside and out. At the end of reading one of my books, that’s how I want the reader to feel. As if they’ve completely understood my characters, even if they don’t agree with some of the things they’ve done. 10. Authors seem to either love or hate writing dialogue. What are your thoughts on this? I love writing dialogue! Why? Because I don’t write it! As stated above, I have a muse. Therefore, when it comes to dialogue, I sit back and let my characters thrash it out. I turn into a glorified court reporter, taking it all down, and trying not to interfere. In writing my first screenplay, I learned that lesson. There was a particularly wicked character that I just plain hated—still do! What a scoundrel! Possessing absolutely no redeeming qualities, I wanted him dead. In one section of the action, he was behaving very peckishly towards a character that I did love. He persisted, getting on my nerves something fierce. To top it off, in the middle of the scene, he insisted on explaining himself! Horrified, I told him nobody wanted to hear his feeble excuses and to shut up. He answered, insisting that he would have his say. I was absolutely furious at this loathsome creature and retorted, “Not if I kill you off, you won’t!” He replied, “Well, if you do that, you won’t have a script, will you?” Since I couldn’t argue with that logic, I acquiesced, telling him to make it quick before I changed my mind. Other than that incident, I could sit and let my characters talk for hours. I cry when they’re sad, and laugh when they crack jokes, but I’m always entertained by their antics. They surprise, delight, and sometimes thoroughly disgust and frustrate me, but they never fail to fascinate. 11. Last question is a bit of a freebie: What is the one question you wish I had asked you but didn’t? Now go ahead and ask & answer it! This is a tough one. I guess it would relate to how you keep going when it seems your work is not being accepted the way you believe it should. And I suppose my answer would be based on a message delivered in a PBS special on Julie Taymor. It was in an interview done by Bill Moyers. Ms. Taymor related a story about witnessing a group of Balinese dancers dancing outside. They were in the woods and ostensibly not performing for an audience. She didn’t understand why anyone would do that. She had a background in the theater, and as far as she was concerned one needed an audience to put on a show. In asking why, an epiphany struck her. Sweeping in with the moment of clarity came the understanding, and the reason why these dancers were dancing. It was because they were dancing for God. I was deeply moved by this sentiment, and humbled. We sometimes do things for money, for power, for control, or for revenge in hopes of getting back at those that belittled us in some way. Sometimes it’s done in the pursuit of happiness we’re sure we’ll find at the end of a rainbow, or to receive compliments about how wonderful someone thinks we can write. The truth is to lose yourself, and submit to a greater power. I suppose it’s why I give credit to my muse and refuse to consider that I alone could create, could perform, could generate such ideas without a powerful force allowing me the privilege of living out my dreams. So always Dance for God. That is reason enough to keep going. 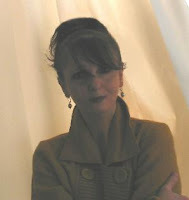 Learn more about Wendy on her AMAZON AUTHOR PAGE. Great interview, Wendy! I am so thrilled you remember our discussion on color. Really enjoyed reading more about you, Wendy - great questions, Jill! Terry - Thank you! I dug deep and coughed up a spleen!!! Glad you enjoyed! Very much enjoyed this! Perfect harmony between great questions and great answers! Thanks, Susan! I guess that Sasha Jackson brings out the best in me! Wow Wendy! I already knew you were amazing but this interview is fabulous, great questions and even greater answers. Oh, thank you so much! I'm glad you enjoyed and got something out of this!